Mary Florescu: The dead have highways, running through the wasteland behind our lives, bearing an endless traffic of departed souls. They can be heard in the broken places of our world, through cracks made out of cruelty, violence, and depravity. They have sign posts, these highways, and crossroads and intersections. And it is at these intersections where the dead mingle, and sometimes spill over into our world. Q: What is 'Book of Blood' about? Q: Is 'Book of Blood' based on a book? 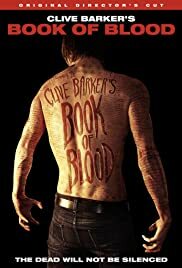 In a nutshell, 'Book of Blood' promisingly starts off with a jolt of well crafted horror, dangles monotonously throughout the middle, and seemingly gives up all hope at them end (at least you'd hoped they weren't trying). The film's beginning and whole premise draws you in enough to make the ending watchable. Had the curve of production quality been reversed I would have struggled to make it through to the middle of the film. Obviously, a great story from Clive Barker, which I still feel film portrays fairly well. Casting is good, and the narrative flows fairly well (despite a few notable acting faux pas, which are forgivable). 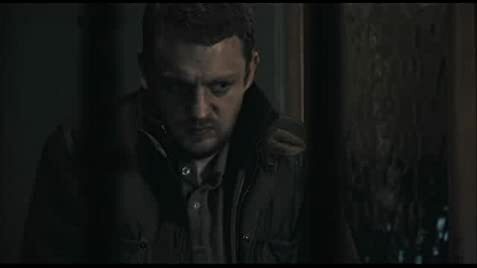 The mood of the film has an apt feeling of eerie darkness right from the opening, but slowly looses momentum and completely hits you with unexpected scenes of modern schlock that you might find on DVD in Poundland. I wasn't overly hopeful, but with an introduction like in this one, you can't help but feel disappointed and I would say this is worth watching with caution.